A s 2017 winds down, it's time to take stock of the myriad restaurants that opened (and closed: rest in peace, Charlatan, Katsu, Ruxbin, et al.) this year. 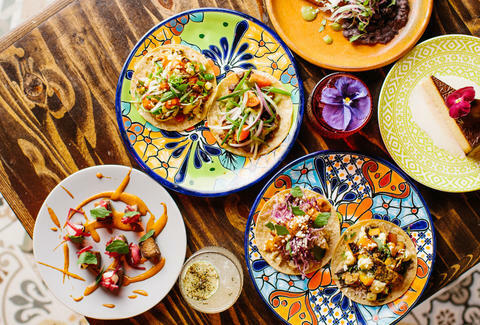 We saw West Town's food scene shift from under-the-radar to culinary hotbed, highbrow Mexican restaurants flourish, Michelin-starred chefs go casual, and the demand for -- and commitment to -- local produce and meats rage on. 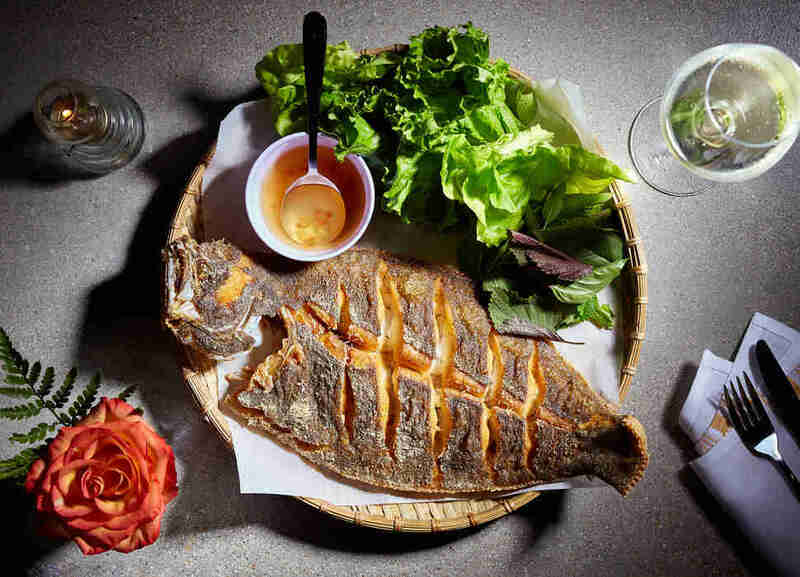 No group of restaurants better exemplify these trends than the following 10 stunners. 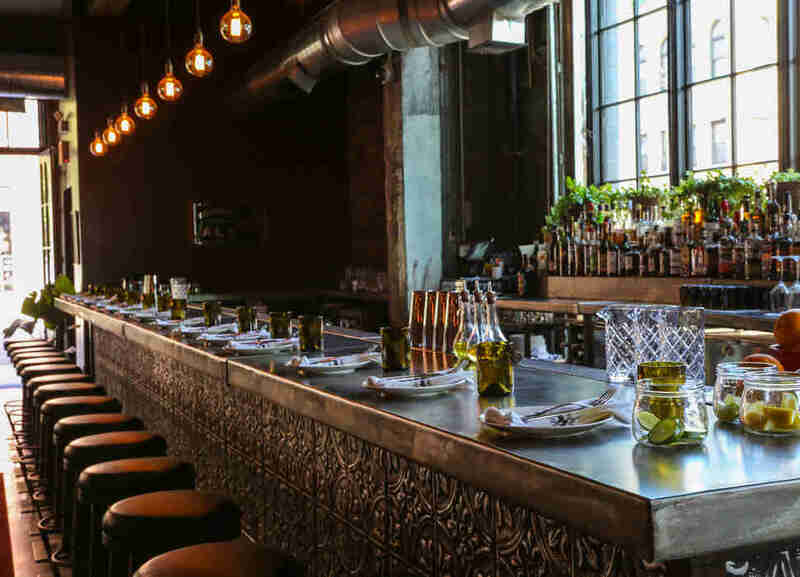 From a 20-seat fine dining destination in (you guessed it) West Town, to a pasta spot with a penchant for all things Midwestern, these are the best restaurants that opened in 2017. 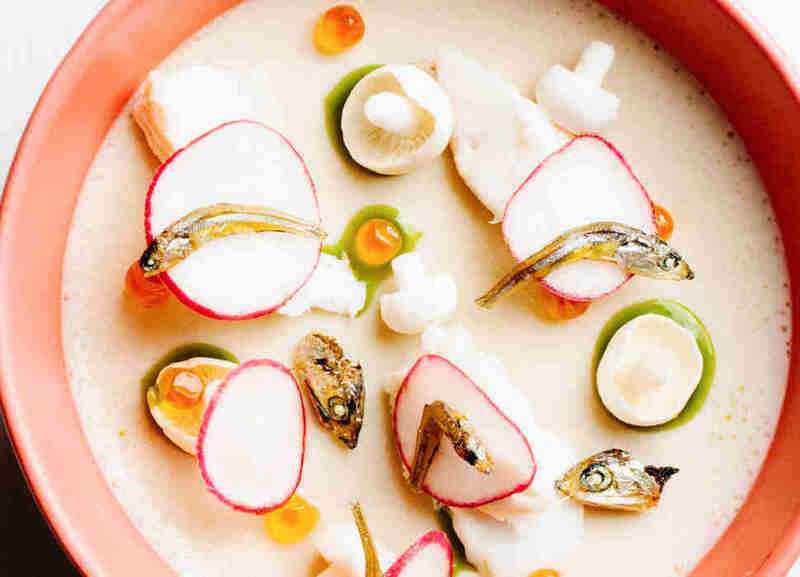 This springtime arrival has garnered tremendous praise since its opening -- earning a spot amongst Thrillist's Prime 13 best new restaurants of the year -- and for good reason: chef and owner Diana Davila's elevated Mexican cuisine is the stuff that open-minded food enthusiasts' dreams are made of. If you're looking for free, bottomless chips and basic margaritas, look elsewhere. 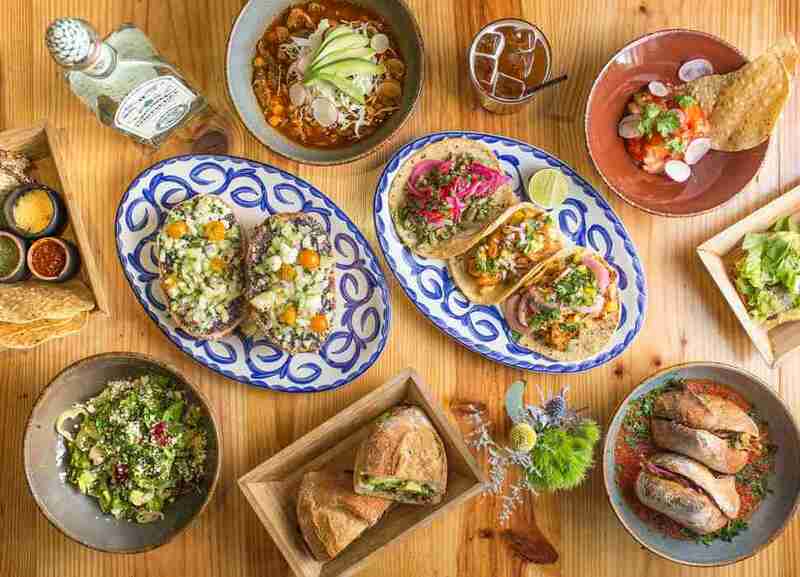 Here, the margs are infused with ingredients like serrano chilis and bitters or elderflower and citrus, and the wildly popular peanut butter y lengua starter sets the tone for the rest of the meal. Charred butternut squash tacos with chile, beans, and corn crema make for an outstanding vegetarian option, while pork albondiga en nogada will satisfy those with a carnivorous habit. This Roman import brazenly defied the "when in Rome..." adage upon its arrival to Chicago, because another deep-dish joint, it is not; instead, it's serving its iconic al taglio (sliced to order and sold by weight) pizza, which boasts a signature, focaccia-like crust that is at once substantive and airy. This outpost is the brand's first in the United States, and promises topping combinations ranging from prosciutto cotto and mozzarella to potato and mozzarella and meatballs and Parmesan. Pro tip: due to popular demand and inevitable lines, try to plan your visit at off-hours. The 1950s Hollywood glamour and modern Chicago dining culture collide in stylish fashion at this debut concept from Sancerre Hospitality. The space is unapologetically luxurious, with cozy booths, twinkling chandeliers, and some of the poshest restrooms in the game (continuity of design matters, folks), while the menu serves luxury in the form of champagne, spendy caviar service, a seafood tower, and filet mignon served with foie gras, truffles, and brioche. Punctuate a meal with mini malt milkshakes or a "Holiday" hot fudge brownie sundae topped with bourbon-soaked cherries, caramel pretzels, whipped cream, and sprinkles for the full "treat yo'self" experience. 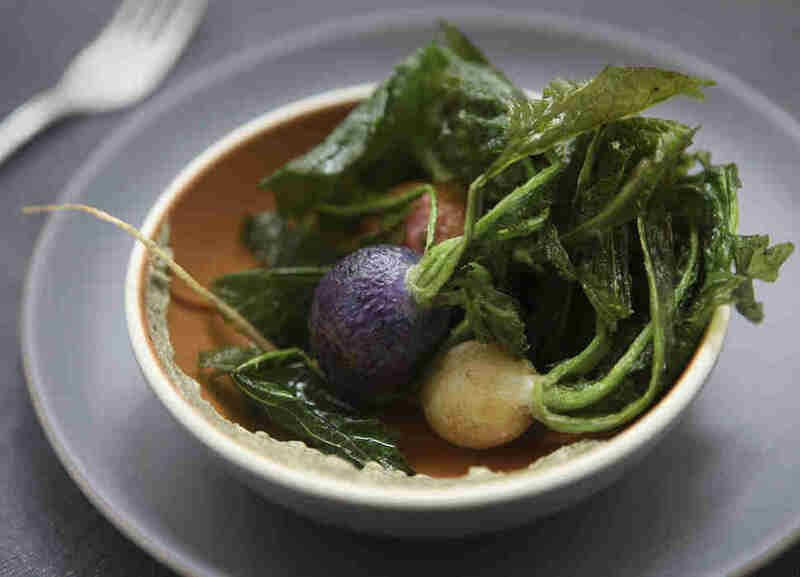 It may not brandish the numerous accolades that Sepia has accumulated over the years, but the Michelin-starred restaurant's little sister is no less impressive. A playful, modern design ethos echoes executive chef Andrew Zimmerman's globetrotting menu of street food-inspired eats, complete with black, white, and cerulean geometric tiles in the bar area and an expansive open kitchen. 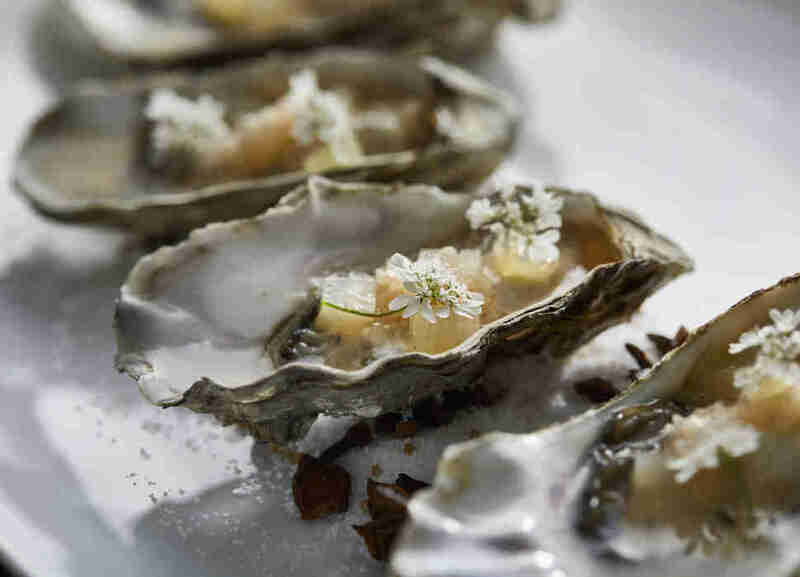 Tempura-fried elotes with dehydrated lime, shaved Parmesan, and Kewpie mayo have become a fan favorites since the restaurant debuted in June; the coal-roasted oysters with ssamjang butter and fried fish collars with Thai garlic-chili sauce are equally can't-miss. Executive chef/owner Zoe Schor (of former Ada Street fame) kept 2017's West Town dining renaissance rolling with her quaint, neighborhood-y tavern. Familiar and comforting American flavors shine in dishes like baked potato-inspired gnocchi, which comes packed with house bacon, sour cream, Hook's five-year Cheddar, and crispy potato skins, soul-soothing chicken nuggets with tangy honey-mustard for dipping, and like-Grandma's-but-better angel food cake teamed with seasonal fruit and Chantilly cream. The latest from Michelin-starred chef and foraging genius Iliana Regan of Elizabeth employs both locally procured ingredients and homestyle Japanese cooking techniques to create a signature cuisine that is traditional in approach and modern in execution. Chawanmushi with wild mushrooms and white fish plays well alongside nori sourdough with salmon poke and egg yolk, house-made nettle ramen with shio mushroom broth and crudité, and Japanese whisky-glazed doughnuts, while brunch offerings like okonomiyaki and "baoscuits" with pork cheek gravy and a fried egg make for a far from average Sunday outing. Read why we picked Kitsune as one of our Prime 13 best new restaurants of the year. Casual yet stylish, Quiote is a lesson in seemingly effortless balance. The bi-level Michelin Bib Gourmand recipient is airy and inviting, and provides a lively atmosphere for imbibing mezcal-based cocktails, like the Hotel Victoria (mezcal, arrack, lemon, aji, and pineapple cordial), alongside shareable bites like decadent bone marrow topped with avocado, cilantro, and salsa macha on supremely crusty toasted sourdough, esquites fundido comprised on sweet corn, cotija, crema, and serrano, and a crab tostada with mustard seed, hot sauce, radish, and punchy black lime for a hit of acidic brightness. No visit is complete without a visit to the subterranean mezcal bar, either pre- or post-meal. 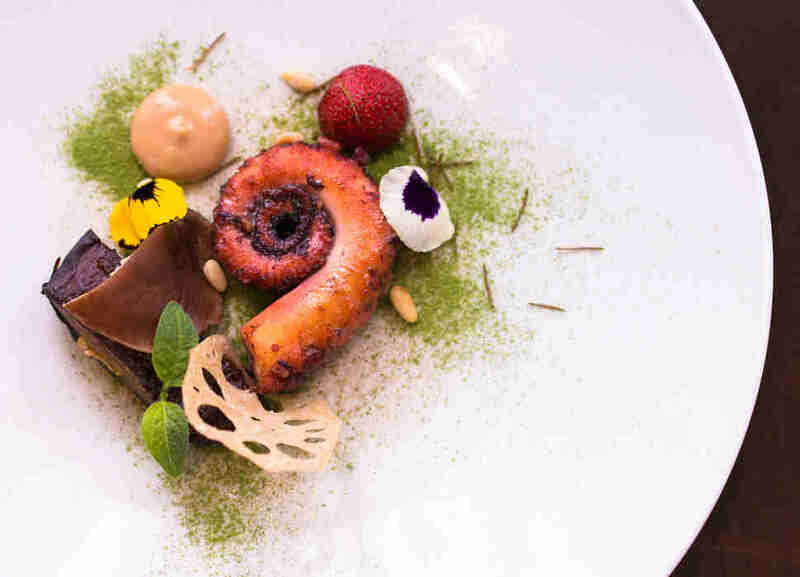 Adventurous eaters with expensive taste, this one is for you: Chicago's small circle of tasting-menu-only fine dining restaurants gained this tiny yet notable addition this year. Sleek, sophisticated, and sustainability-minded, 20-seat Temporis serves just a single, evolving, eight-to-10 course tasting menu each night -- which is flush with hyper-local ingredients grown in the restaurant's on-site hydroponic garden. 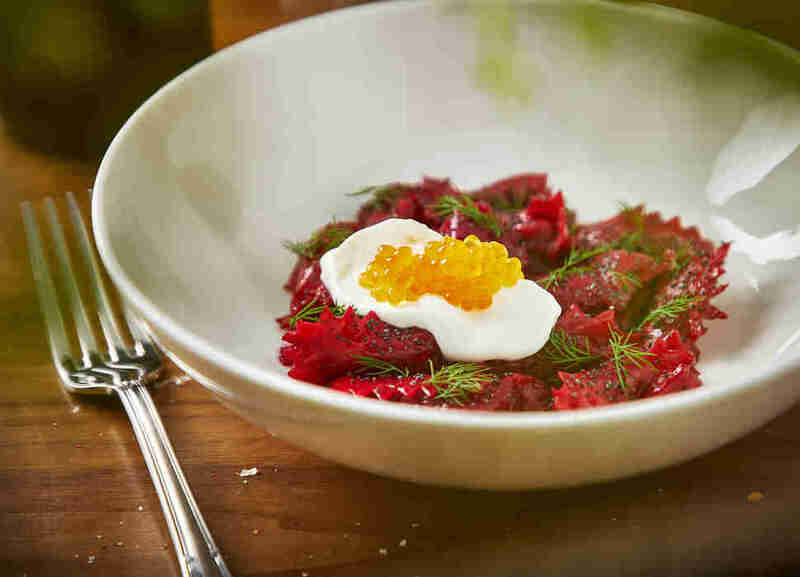 The menu changes at the seasons' whims, but has recently featured courses like A5 Miyazaki wagyu with kombu, blueberry, and chanterelle, capellini with mushrooms and gooseberries, and peach with cinnamon, brown butter, and lemon verbena. Perhaps the most feel-good restaurant story of 2017 is that of Thai and Danielle Dang, the resilient husband-and-wife team who overcame tremendous adversity (including a lawsuit against their former boss at Embeya) to bring authentic Vietnamese fare to Pilsen. HaiSous was worth the wait, with a concept that offers both a la carte and prix fixe brunch and dinner services. Both are loaded with traditional items like roasted duck stuffed with kaffir lime leaves, corn with toasted coconut, scallion confit, and fried garlic, and even fried chicken wings with sticky-sweet caramelized fish sauce and crispy garlic. Pasta is the name of the game at this 52-seater, where traditional Italian preparations are pushed aside in favor of locally grown ingredients and a uniquely Midwestern sensibility. Delve into the region's bounty by way of tortellini with lentils, kale, and pork sausage, tajarin with pole beans, garlic, and chicken cracklin', and stracci tossed with braised lamb, broccoli, and pecorino. Balance all those noodles with starters like carrot rillettes with duck fat and fennel and a glass of tequila-spiked Daisy Sangria, which is rounded out with tea, apple, and white wine.